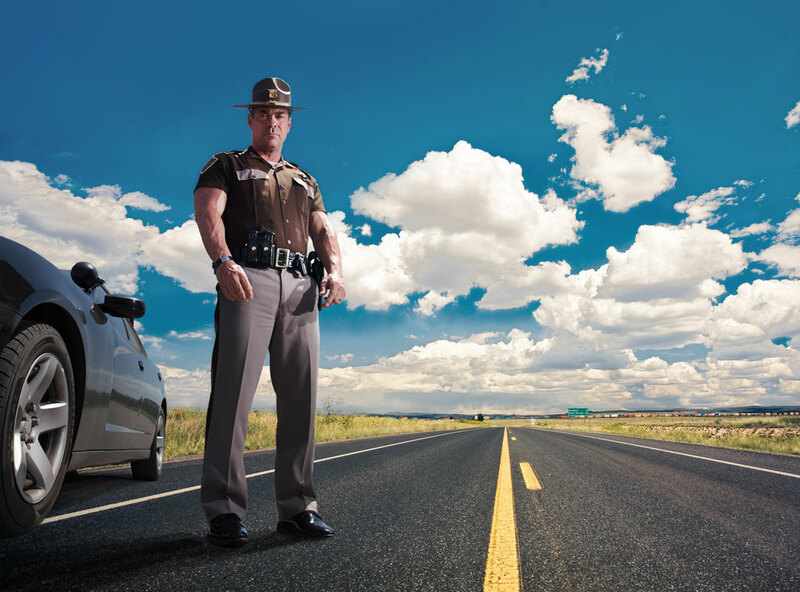 The 80-year-old Oklahoma Highway Patrol copes with its manpower crisis in numerous ways. 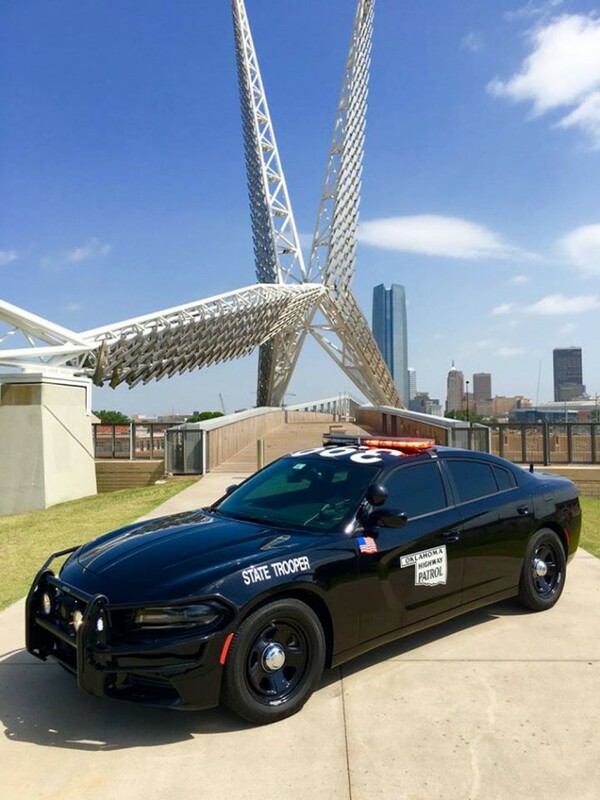 In addition to their duties of patrolling Oklahoma’s Highways and Working accidents, the Oklahoma Highway patrol has many other departments that require troopers. 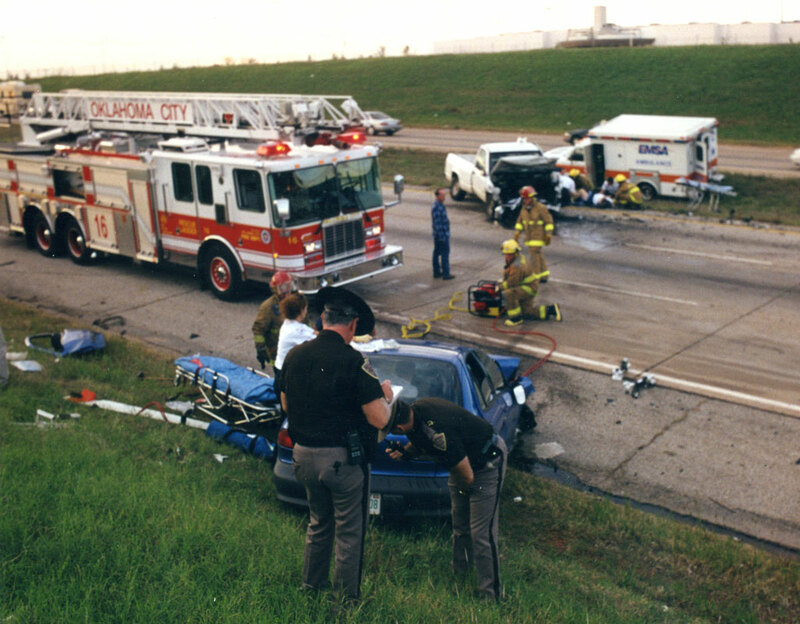 Photos courtesy Oklahoma Highway Patrol. An often overlooked issue with budget freezes or cutbacks, especially in a growing state like Oklahoma, is that agencies fall behind in what they can offer with their services. The Oklahoma Highway Patrol is a perfect illustration. Oklahoma is quickly approaching 4 million residents, up about 6 percent since the 2010 census, but in that time the OHP has endured budgets restricting its operations. Higher population means more and longer commutes on highways, increased commercial traffic and, inevitably, more accidents and criminal activity. Yet the OHP is in a manpower crisis because it’s understaffed by more than 165 troopers, OHP chief Rick Adams says. Adams reminds that troopers do not just patrol Oklahoma’s highways. 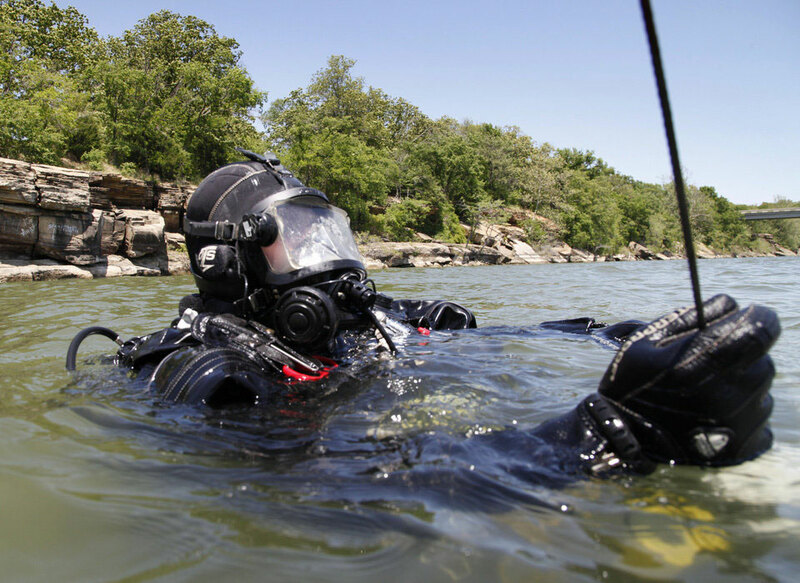 The OHP has operations for aircraft, auto theft, criminal interdiction, evidence/contraband, asset forfeiture, Capitol patrol, commercial motor vehicle enforcement, training, lake patrol, investigations, dive teams, executive security, motorcycles, bomb squads, emergency response teams, tactical teams and numerous task forces. 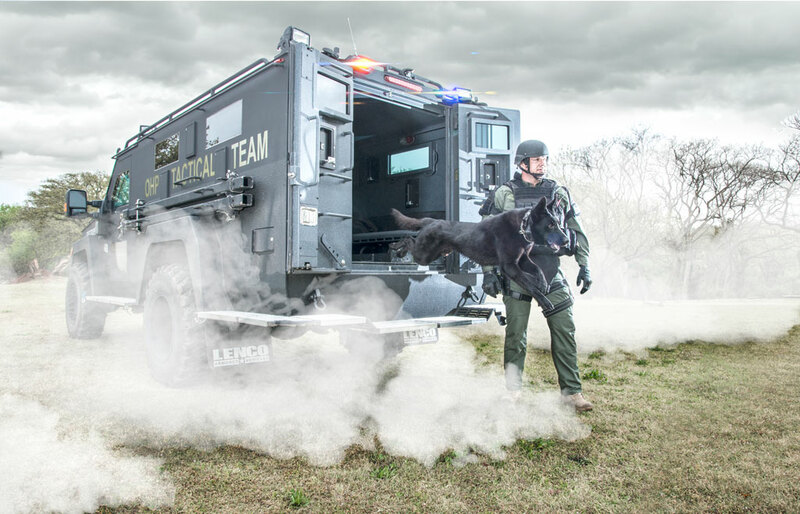 Adams manages these challenges through calculated risks in public safety coverage. Because of budget constraints, troopers had to limit their daily driving to 100 miles between December and June. 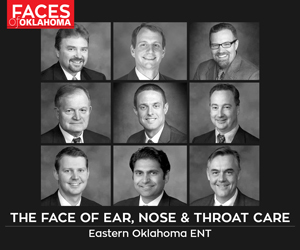 Also, the past two training academies have been funded by the Oklahoma Turnpike Authority, a separate entity. The turnpike authority paid $5 million for the 2016 academy and has ponied up another $5 million for the academy beginning in January. The turnpike authority benefits from the relationship because many of the 30 troopers from the 2016 class got slotted to patrolling Oklahoma’s toll roads. However, only a few from the upcoming class of 30 or so troopers will have turnpike assignments. “Our turnpike system is one of the safest in the country, and we want to keep that up. Public safety is vital,” says Jack Damrill, the turnpike authority’s director of communications and facilities. The OHP’s high visibility slows down speeders, but Damrill says the troopers’ presence is there because of the increase of activity on turnpikes. While hoping that the state legislature can increase funding for the OHP, Adams appreciates the turnpike authority’s financial help. And even those turnpike authority-funded troopers often handle additional calls and crises near them, which means troopers on other assignments have to fill in or segments of highways go unpatrolled. Adams also notes that the OHP, begun in 1937, has faced budget problems before and survived. The Elk City High School, University of Central Oklahoma and U.S. Army War College graduate has seen many peaks and valleys in his 31 years with the OHP. His four-year anniversary as chief comes in November. For more information, go to jointheohp.com. For older Oklahomans, a state trooper might be like grumpy Dan Mathews, Broderick Crawford’s persona on the 1950s TV show Highway Patrol. For younger drivers, the highway patrol officer might be that so-and-so who gave you a ticket when any number of speeders could have been stopped. Dwight Durant, a 20-year OHP veteran, alters those stereotypes. He speaks straightforwardly like Crawford’s character, though not to the extent of the actor’s classic line, “I eat punks like for you lunch.” And he writes his share of tickets. But Durant’s forte, his passion, his focus is interacting with people. The man, in his early 20s, handed over the bag; Durant dumped the contents. Then they talked on the shoulder of the highway … for 90 minutes. “It was mostly just me listening to him because he quickly admitted that he had drug and alcohol and marital problems,” he says. “I could have written him a ticket or taken him to jail, but, you know, I’ve had my share of experiences and challenges, so I related to what he was going through. Six months later, the young man saw Durant at a restaurant and came over to say that within hours of their encounter he had checked himself into a 30-day rehabilitation program. “I didn’t recognize him,” Durant says. “He looked completely different … really nice and clean. He was nothing like he was when I stopped him. Durant, who serves as OHP’s public information officer in addition to patrolling highways, says every colleague has a story that has nothing to do with penalizing someone. Many troopers have warning-to-ticket ratios similar to his (Durant’s is 16 to 1). That’s why it was frustrating for troopers when they had to endure a 100-mile daily travel limit from December to June because of budget cuts. “We want to patrol the roads and make those contacts with people, not sit at a desk at a headquarters somewhere,” he says. The graduate of Broken Arrow High School and Northeastern State University is the son of Bennie Durant, a longtime Tulsa troop commander who put in 28 years with the OHP. Between them, the Durants have worked with just about every kind of trooper in nearly a half-century of patrolling Oklahoma’s highways. “I Do” – What’s Next?